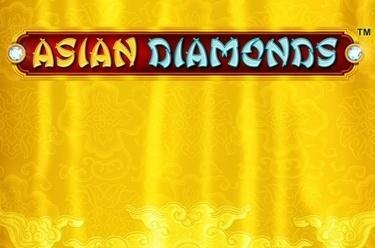 Play Asian Diamonds™ online for free now! 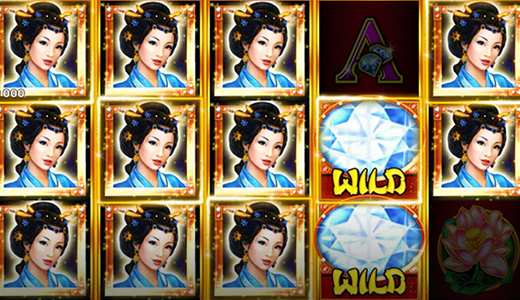 Play Asian Diamonds™ and be whisked off to Japan to meet the wonderful performing geisha! Watch in amazement as they display their stunning art and wisdom across five reels and up to 30 win lines. With a little luck, you’ll find magnificent Twist winnings among the sparkling diamonds! The excitement will reach a climax when you land two or three matching symbols side by side along a win line running from left to right. The Diamond symbol is the Wild symbol, and it can substitute for every other symbol in the game (except for the Scatter symbol) to complete winning combos. It appears as a stacked symbol on the reels. The Golden Orb is the Scatter symbol, and it can appear on reels two, three and four. Collect seven or more Scatter symbols and you’ll trigger the free games feature! In every free game, a random stacked symbol will be chosen, and this may appear on any reel. Journey 1,000 kilometres east and explore the beauty of Japan: meet its mesmerising geisha, who have been performing and entertaining since the 17th century! Moreover, Asian Diamonds™ gives you the chance, with a little luck, to line up glistening gemstones along the win lines and take your Twist account to the next level!